Aliens, are angered by the stupid minds of humans for creating and wanting to create more and more powerful Bombs. The Aliens are afraid that humans will discover how to make the Solaranite, a Bomb so powerful that it will destroy the universe. 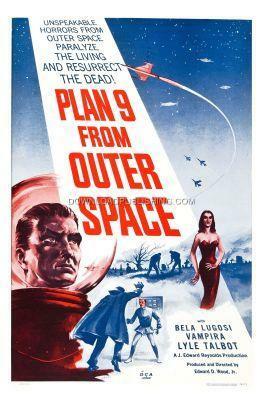 They put into motion, Plan 9, the resurection of the dead. With their Army of Zombies, Vampires and Ghouls, they plan on destroying all human life on Earth. Producer: Edward D. Wood Jr.